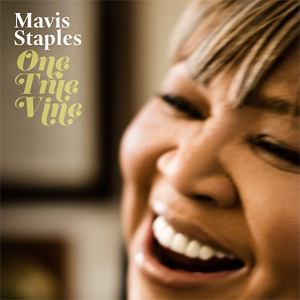 Spin This: "I Like the Things About Me," "One True Vine," "Jesus Wept"
There’s something about Mavis Staples that makes us gravitate to her sweet nectar. As an ambassador of the golden era of Stax, the soulful leading lady of the Staples family keeps pouring her honey on our ears. Truth be told, she’s the only survivor of that catalog to maintain a steady workload. Whether dipping in the social justice material, playing with artsy funk ranging from Curtis to Prince or singing praises to the Most High God, Mavis Staples almost always has a song to sing. Now in her sixty-third year of making music, the 72-year old veteran has found her groove by exploring the worlds of nostalgia while excavating her gospel folk roots. It’s the kind of stuff that’s turned her into a Wanda Jackson-meets-Mahalia Jackson archetype and the stuff that’s turned Wilco’s Jeff Tweedy into a front row worshipper. Tweedy was there to produce 2010’s You Are Not Alone, and he returns once again to the first pew for One True Vine, her third studio album on the indie Anti- label. But the vibrant Mavis we heard on the Ry Cooder-produced We’ll Never Turn Back singing “99 ½” and “Turn Me Around” is hardly in motion here. She hardly revs up her motor to spit out those “good Gods,” “sha-moans” and that Sunday morning punch of conviction. She seems to be at ease with being a rusty baritone, rather than pulling out those gutsy Southern grunts that she’s best known for. She does perk up a bit on her cover of the Staples’ classic “I Like the Things About Me,” where a woozy guitar explores the depths of ’60’s psychedelic rock. And then there’s her take on Funkadelic’s “Can You Get to That,” which sounds like it could’ve been cut off the same cloth of “Respect Yourself:” “When you base your love on credit/And your loving days are done/Check your signed with a-love and kisses/Later come back signed ‘insufficient funds.’” Staples is totally engulfed by a soulful chorus (even with a bass singer), but she manages to peek her head up from amongst the crowd. As the album finds a way to close the book using the Americana-soaked title track, Staples manages to work the song like Candi Staton does country. 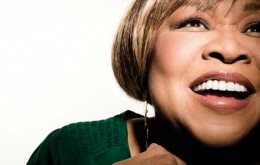 And she tells a story of being “dead at first” and “doing my worst” and then “you came to me.” Even in the sunset of a long-lasting career, we can hear Staples doing what she’s does best: Singing like a gospel missionary trapped in the purgatory of the blues. While she’s certainly holding back on her delivery here (and maybe this is what Tweedy would’ve wanted), she still serves up a delicate dish that’s complimentary to her latter work.